Arguably Britain’s oldest airport with scheduled operations (it became Royal Flying Corp Rochford in 1916) and during the 1960s the third-busiest airport in the United Kingdom, London Southend Airport is about to literally take-off again. This follows multi-million investment by the logistics organisation group Stobart and the arrival of easyJet. From Monday 2 April the airline will base three Airbus A319s at the airport, introducing services to Alicante, Amsterdam, Belfast, Barcelona, Faro, Ibiza, Jersey, Majorca and Malaga. Up to 70 departures per week are planned. It was in December 2008 that Stobart Plc purchased Southend from Regional Airports Ltd, operators also of Biggin Hill, for £21m. Stobart are not just lorries but into all manor of transport including rail. Alistair Welch had joined from Stansted as Managing Director and quickly started a £100m investment which included a 300m runway extension to 1779m (now complete but not operational), ILS (instrument landing system), and most important of all the building of an on-site railway station and new 21st century terminal building. Opened last July and sited directly opposite the terminal, the railway station is on the Southend-Victoria to London-Liverpool Street line. It offers up to eight services to London per hour, taking passengers from the airport into the City of London in just 53 minutes, or to Stratford – venue for the Olympics in 2012 – in 44 minutes. Readers might like to know it takes just six minutes from Liverpool Street to Stratford, even quicker than the much heralded Javelin train from St Pancras. And cheaper too. Use your Oyster card. AERBT was privileged to be invited on the first ever easyJet passenger flight into Southend, a private operation to enable airline staff to get a feel for the airport. It was just an 18-minute 6,000ft hop, with the approach across what would have been the site of the Foulness/Maplin London International Airport. The famous church at Southend Airport remains in position on your right hand side as you land in the favoured westerly direction. The terminal opens to the public from tomorrow (28 February) when Aer Arann flights to and from Waterford start using the new facility for the first time for its twice daily service. The new building is 60m wide and 40m deep with an escalator to the first floor where the security inspection takes place. It is then down to the large departure lounge with shops and fast food facilities, plus of course duty free (but only on ex-EU flights including Jersey). The airport has already applied for a 90m extension (towards the brand new control tower) which could be open by this time next year. This will not affect the operational restraints on the airport but is designed to make passenger transit even easier. When the original planning approval was submitted the 10-year contract with easyJet was more wishful thinking than fact. There is plenty of car park space. Stobart’s realistic target. Two million passengers by 2020.
easyJet says that whilst it has been able to research the amount of departing traffic, inbound passenger numbers are largely an unknown quantity. 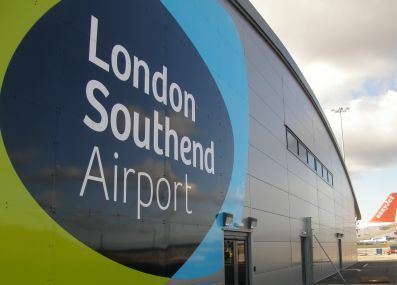 The thinking is that the London name for the airport is well deserved and, with the airline’s strong European marketing operation, word will quickly spread that Southend is a practical gateway for East London and the City. Nearing completion is a 4-star hotel Holiday Inn with an impressive roof-top sound-proofed bar and restaurant with panoramic views of the airport and surrounding area. 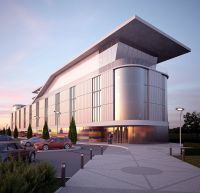 The striking 129-room property will be completed in time for the London 2012 Olympic and Paralympic Games. 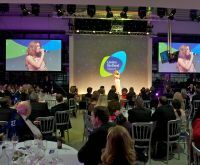 Also on offer is a variety of conference and banqueting facilities, plus a choice of meeting rooms. It is just a short stroll to the terminal and railway station. You walk past the airport retail park (landside) including Argos, Carpet Right, Dreams, Harveys, PC World, Pets at Home, Staples and Sports Direct. 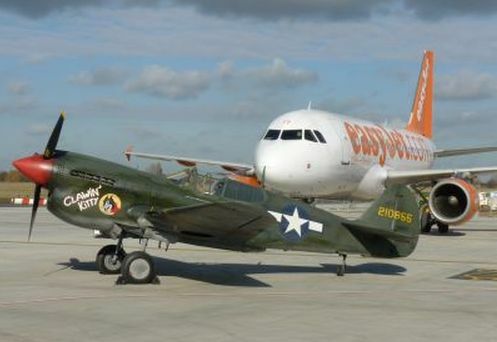 In what could hardly be described as a surprise move easyJet has announced it will be the lead sponsor for the 2012 Southend Air Festival. Around half a million people are expected to attend this year’s popular Air Festival which will take place on Saturday 26 and Sunday 27 May 2012. You can expect another first. A flypast by an easyJet Airbus A319?